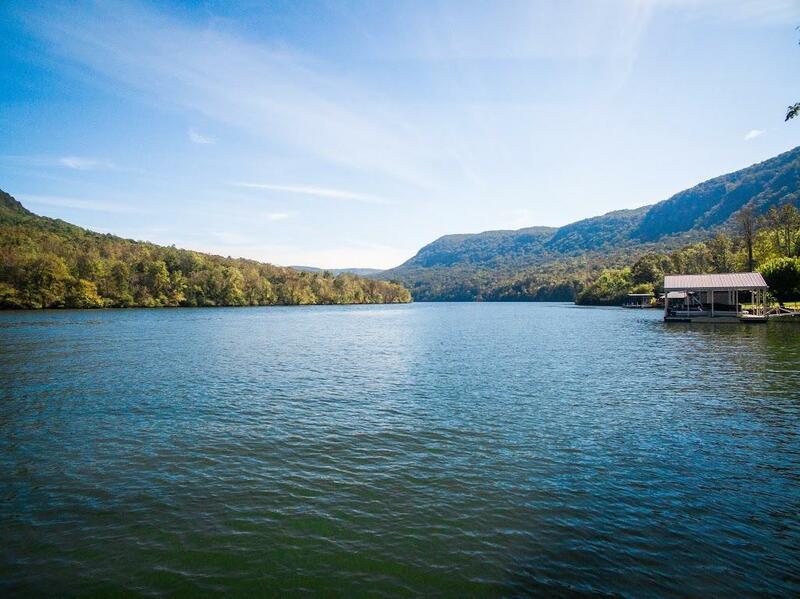 Tennessee river gorge: one of a kind across from river gorge trust. Waterfront cottage on two lots combined. 200 ft of water frontage, year round deep water, boat house, seawall. This location is primo. Meaning the closet river gorge-river frontage to downtown chattanooga. This mountain retreat. Is secluded upon a private mountain road just off raccoon mountain. A river front cottage with ambiance galore. The southwest lot has a septic tank and field lines installed near the lowest point(near shoreline)for a future guest cottage. Gated site. New galvanized, half round gutters and down spouts. New galvanized metal roof. Screened porch. Most locals don't know this location exist as convenient as it is. Not a drive-by. 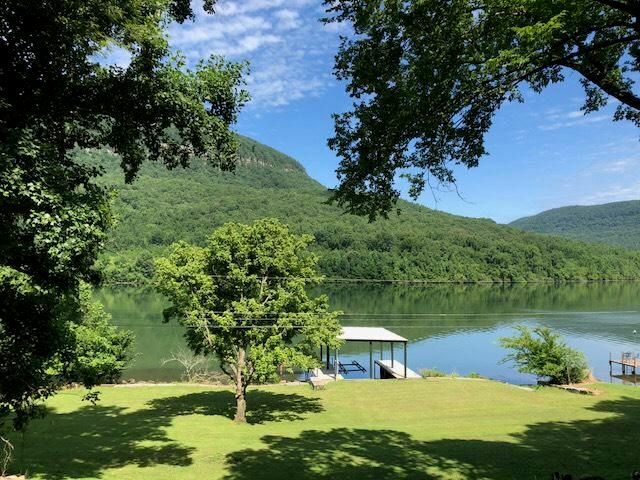 Beautiful river front property on river canyon rdfenced 3/4 way around, has a seawall with 110 foot water frontage ( the well has lots of water. Property is close to prentice cooper national forest and across from elder mtn. No one can build across the lake from you, go look today you will love it!! The view is breath taking! ! All this for $299,900 the accessment is not the appraisal( has septic tank, & dock permit. ) seller will consider selling other side of property also !! **Price improvement to compensate for siding**welcome to north shore! This beautiful home walking distance to the scenic river front is begging for new owners! 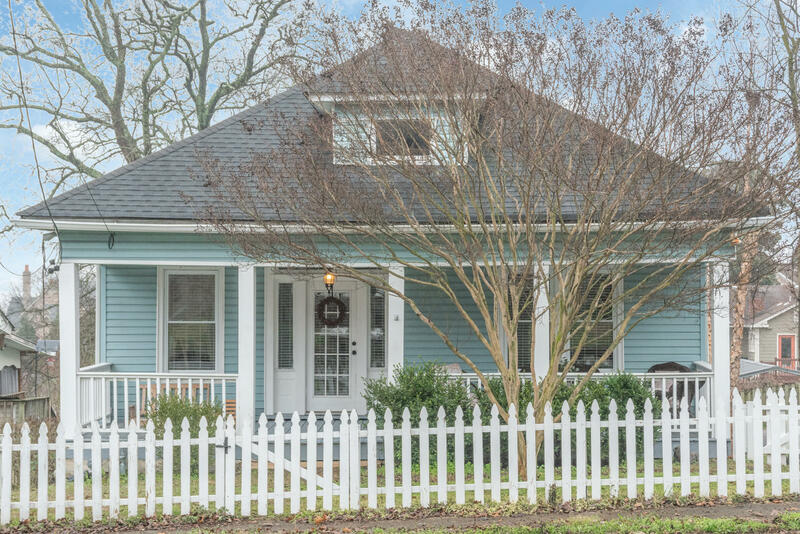 This home features 3 bedrooms, 2 updated bathrooms, and original hardwood floors throughout the main living spaces. Freshly painted front porch and freshly pressure washed fence and front exterior. Zoned for normal park, this home would be ideal for a family with riverfront park being in walking distance. With a two story deck, you have plenty of room outdoor entertainment. Finishing the lower level would ideal for airbnb or a studio apartment. Fence, deck, hvac, plumbing, and roof all updated or replaced within the last 5 years! If you're searching for a home in north shore, schedule your tour today!lower deck door locked.